Maybe I'm paranoid, but I have gotten a seriously ominous feeling over the last week because of all of the air traffic disasters that have been happening recently. Disasters in general, really. It all started back in March of this year when Malaysia Airlines flight # MH370 went inexplicably missing. You guys all heard about it, and if you watched CNN you got your fill of hyperbolized and endlessly repeated news footage mostly of open expanses of sea. The world was transfixed, because how can you just lose an entire plane filled with 239 people? With technology what it is, it seems damned near impossible. But somehow they did it. And then they went ahead and informed the alleged victims' families by text that they were officially presumed dead. Excellent idea, guys. Add on to that the fact that they still haven't found the freaking plane, and you have one giant, tragic mystery that may never be solved. The ocean is vast, and there are still areas that we have yet to discover. The question that haunts me and gives me pause is why wasn't there even a lick of debris? I'm sure there's a logical explanation; I just don't know it. Fast forward to this week, and we are hit with 2 more disasters that - thankfully - have a bit more resolution, but they're just as awful as MH370's circumstances. We'll start with flight # MH17 (yes, it's Malaysia Airlines again... these guys just can't catch a break). On July 17th, the plane was shot down on its flight between Amsterdam and Kuala Lumpur by... who knows? No one is taking responsibility, and we are left knowing that hundreds of people are dead not by an Act of God but by the hands of man. And that man (or men) has not stepped forward for reasons that I can only attribute to cowardice. There has been mounting tension between Ukraine and Russia for quite some time now, and all of that escalated alarmingly quickly back in February and March of this year. As a result, several airlines altered flight paths to steer out of airspace above the area. Malaysia Airlines was not one of them, and unfortunately if they had changed the course of the flights this would not have happened. But it's all in the past. Hindsight's 20/20. Needless to say, many lives were lost, and, while details are still unfolding, there are still a plethora of questions that remain unanswered. 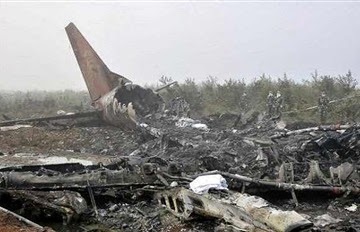 That brings us to Air Algerie flight # AH5017. At first, everyone was collectively shaking their heads in disbelief. Another lost plane with no indication of where the hell it went. It disappeared from radar in the evening of July 23rd, and wreckage was found nearly 24 hours later in Mali. People have speculated that the plane was hit by lightning and officials have declared that lightning is the most feasible answer, but no one's ruling anything out at the moment. One of the 2 black boxes have been recovered, so we'll know something soon. Maybe not a definitive answer, but something to hold on to and learn from. Is anyone else as freaked out by this as I am? I will be hopping on a plane in February next year and riding it across the world to South Korea, and this is most definitely not quelling my fears. Deep, cleansing breaths, Stefers. It's all going to be ok.